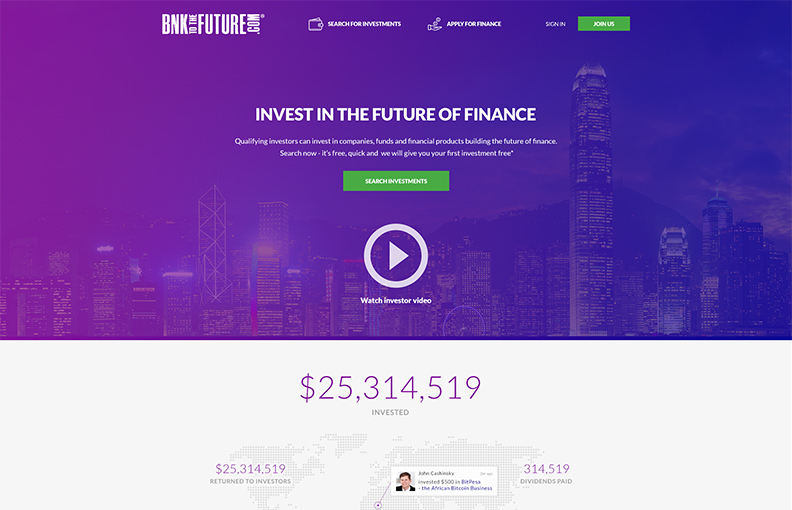 Bank to the Future is a global online investment platform (Equity CrowdFunding) that brings financial innovation and technology investment opportunities to investors. While existing, but distinct, markets such as Funding Circle and Crowdcube, allow savers and small investors to directly invest debt or equity in small companies, BTTF allows business owners to raise different types of finance in one place — and even take money in return for products instead of shares or interest. You can borrow, raise equity and offer rewards. The idea is to combine launching a business with raising finance and marketing all at the same time. We have battled with finding partners that don’t just create software, but are on top of technological innovation and can communicate and understand a vision well for years. When we came across Exlabs we finally found the right match. Technically gifted, entrepreneurial and fully capable of building well designed and complex software applications. Our team helped Bank to the Future to build an innovative finance platform that entirely changes the face of fund raising. We faced a challenge of mixing completely different worlds of banking, social networks Blockchain decentralised computing. With an application of this size, nothing happens by accident. WIth help of our Team as a Service approach, we carefully engineered the application into logical modules, so that it is significantly easier to manage, control and expand upon over time to allows for money to be spend on innovation instead of maintenance.